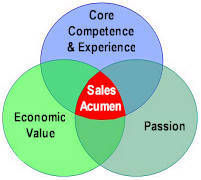 Lenny Steinberg is a Sales Trainer and Principal in Sales Acumen. He teaches what he has learned through 25 years of sales, sales management and training experience in such companies as Unisys Corporation. He has extensive sales and marketing experience in both large international companies and small entrepreneurial companies. He is experienced in B2B and B2C, selling both complex solutions and commodity products and services. Lenny has trained clientele ranging from multi-billion dollar corporations to solo entrepreneurs. He has taught in customized in-house/retreat sessions for corporate clients' sales forces, and is not afraid to challenge traditional ideas of selling and marketing. His "real-life selling" experience provides rich anecdotes for his seminars. Lenny lives in Orange County, CA with his wife, Lynn, and son, David. In his spare time Lenny enjoys biking, sailing, skiing and playing golf, all very convenient in the Southern California lifestyle.